Charter Genius - Chart your course to success. Charter Genius is a powerful and comprehensive system for boat owners and brokers to manage vessels and maximize investments. 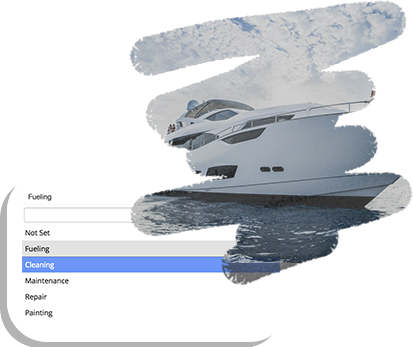 Our custom built, easy to use solution will help manage your business by providing a complete overview on your boats, availability, service records, direct and third-party bookings, and more. It’s the complete solution for your business needs. Get an overview of your day in the dashboard. It’s the best place for a clear and concise outline of what's happening, and will keep you updated with key information. 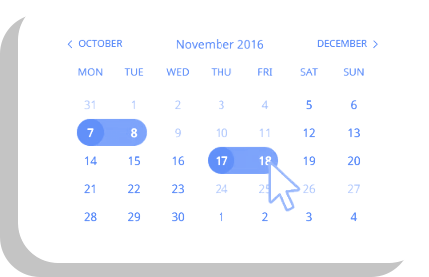 A simple, easy to use calendar system with a choice of chronological bookings list or classic events layout. You can select from daily, weekly or monthly views. 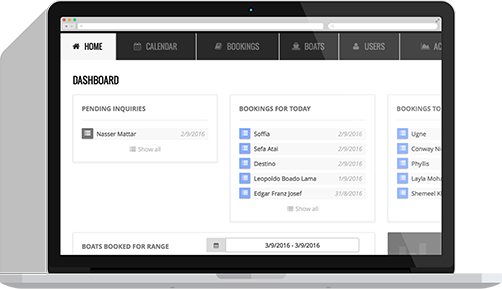 Check boat availability for any given-date or range and book instantly without needing to wait for confirmation. No more duplicate booking! 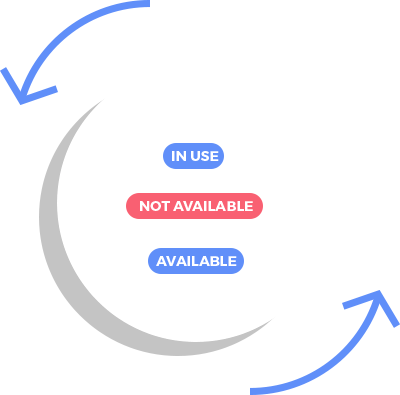 This is easily one of the best features of the system, and the key to effective business. 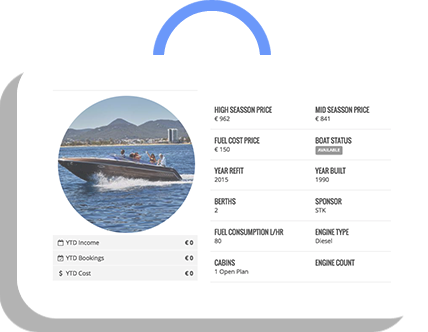 Instant access for boat owners to view everything happening with their boats. Owners are always in control, and this transparency leads to more partner opportunities. 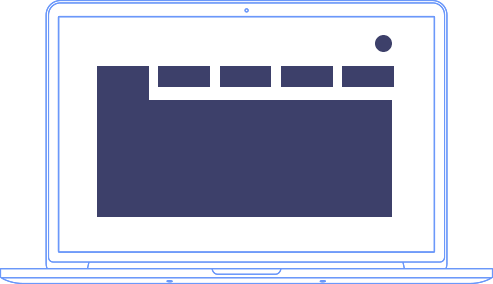 Broker access to view availability and book instantly, and thanks to a sophisticated online monitoring system there’s no need to wait for confirmation. 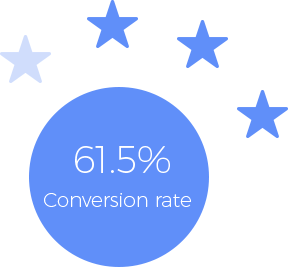 Ability to instantly view currency conversion rates for your boat inquiries, which can be a very useful feature for clients and boats in different regions or countries. 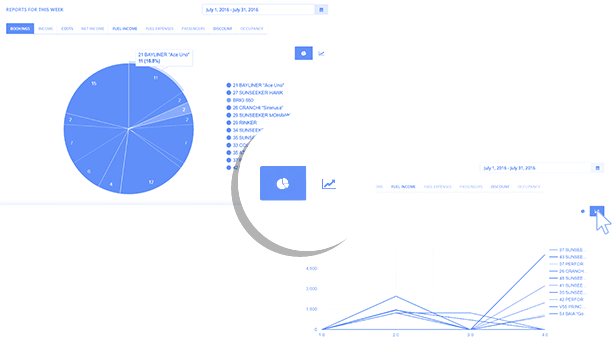 On-demand reporting of profit and loss for each boat, enabling you to make key investment decisions and keep your business on the right course.